Historically, support to educational institutions has ranked second only to giving to religious charities. Philanthropy has had a significant impact on the development of private higher education. 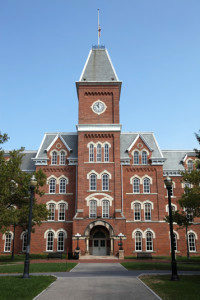 In 1876, Johns Hopkins University opened in Baltimore, the beneficiary of the millions its namesake had made from his Baltimore and Ohio Railroad; the University of Chicago was the beneficiary of oil king John D. Rockefeller's support; and Andrew Carnegie's steel interests and Andrew Mellon's aluminum and oil businesses generated the funds for the institutions that would later combine as Carnegie-Mellon University. This impressive legacy of private support of educational institutions has continued into the twentieth century. Today, educational institutions--both private and public--are in the midst of some of the most ambitious and sophisticated fund-raising initiatives in the nonprofit realm. On the other end of this educational spectrum, small private schools and religious affiliated colleges are faced with the challenge of increasing their private support base as other revenue sources are diminishing. Goettler Associates has been pleased to serve a wide variety of educational institutions, from small private schools to large state universities.